The PIM Alumni Association (PIMA), the professionals’ association of the prestigious Postgraduate Institute of Management (PIM), affiliated to the University of Sri Jayewardenepura, recently concluded their Annual General Meeting electing the President and the Executive Committee for the Year 2018/19, at PIM. At the AGM, the Outgoing President 2017/18 Nishantha Gunasekara said, “As we review our activities during the financial year 2017/2018, we can proudly claim that we have been able to provide visibility of PIMA and complete many successful events with an encouraging number of PIMA members’ participation.” He also commended the contribution of the Executive Committee Members and PIMA Secretariat to make 2017/2018 a memorable one. 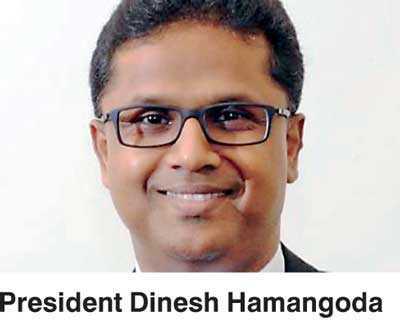 “I thank the Director, Academic and Administrative Staff of PIM and PIMA membership for the confidence placed in the outgoing Executive Committee to perform the duties effectively,” Gunasekara said. He invited members to engage and support PIMA during the ensuing year to continue the momentum. The members of the Executive committee for 2018/2019 include Dinesh Hamangoda (President 2018/19), Jayalal Hewawasam (Vice President), Nishantha Gunasekara (Immediate Past President), Aminda Udithathilake (Secretary), Shermi Fernando (Treasurer), Ujith Hewage, Nilufa Nizam, Lalinda Ariyaratne, Onalie Dissanayake, Aroshan Indujeewa, Chandana Ekanayake, Migara Panditaratne, Prabath Manimeldura, Shiranthi Theverapperuma, Gishan Perera, Randima Krishnaratne and Dishan Sherminda.The members of PIMA are professionals who have completed either their Masters or Doctoral studies at the Postgraduate Institute of Management (PIM). PIMA claims of having the largest number of Professionals in the country, with over 2000 active members who hold MBA, MPA and PhD from the Institute, many of whom are holding senior managerial positions both in Private and Public sector organisations. During the span of two decades PIMA has become a formidable force changing the way businesses are seen and operated in the most professional and the ethical ways in keeping to the vision of PIM. The main objective of PIMA is to represent the values and ethics of the Institute and to ensure that these are sustained and reinforced by the members through continuous support to develop and foster their management skills over the years to come. PIMA has played a pivotal role in organising public forums for discussing various timely topics related to Management, Education, Industry, Finance, Economics and Social Development for the benefit of its members and the general public. PIMA continues to conduct Continuous Development Programmes (CPD) with speaker panels consisting of prominent and renowned senior alumni who are respected in the Private and Public sector organisations. The PIMA Dinner Dance is an annual event organised by PIMA to encourage fellowship and social networking of the Alumni. This year PIMA will be launching the ‘Corporate Leadership Discussion Forum’ which will attract the senior and elite group of the business fraternity of the country to build awareness in ‘areas of concern to businesses’ and to provide a forum to discuss and resolve issues that are experienced by the fraternity as a whole.